Make this your Great Getaway...swim, boating, fishing and access to Lake!SEASONAL HIDEAWAY located off the Portage River. Mobil Home approx. 600 sq ft. Boat slip rental included in rental fee. 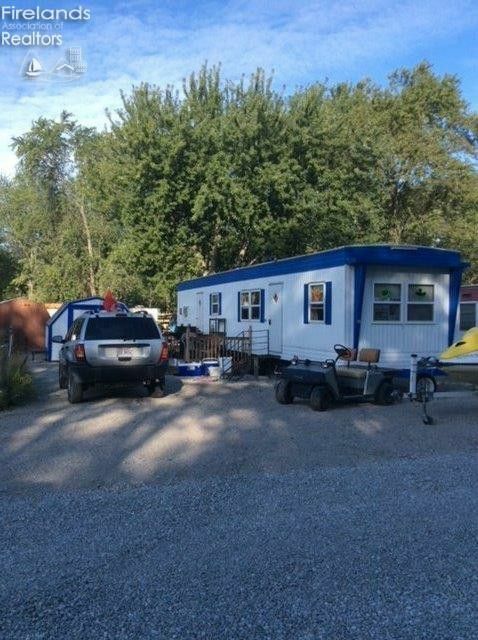 This is a 2 bedroom Mobil with newer Rubber Roof (4yrs )...all New Windows( tilt in) Wood Deck and Shed. (Optional Purchase of Jet Ski which has been completely rebuilt per owner. Total Package with Jet ski and jet ski trailer 22, 500.) Entire Lot Scraped and felt laid..11ton of #8 stone. Deck freshly power washed and sealed. New Front and Back Doors too! Sold As Is. 0 beds 0 Bath 600 Sq. ft.